Wheaton, Illinois – April 28, 2018 the DuPage County Fairgrounds (A Chicago Suburb) will host Zurko’s Midwest Promotions – Semi- Annual NATIONAL CIVIL WAR – MILITARY and C.A.D.A. (Collector Arms Dealers Association) Show & Sale Now billed as – THE “CHICAGO-SHOW”, it is one of the largest and finest for high quality and diversity in the Midwest or anywhere! 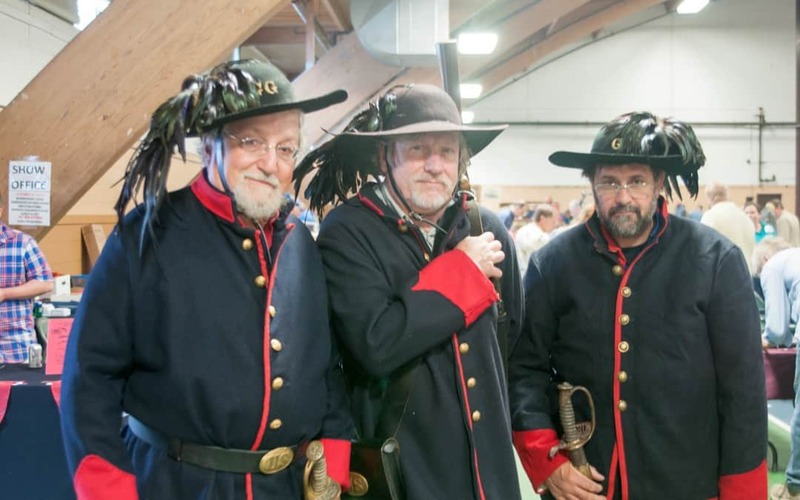 Collector’s from the United States, Europe and even Japan will again on this semi-annual event to buy, sell and trade cherished Historical Artifacts, Vintage Militaria, and a variety of Collector Arms. 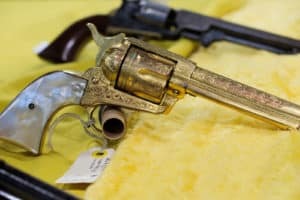 Now housed in 2 – buildings with over 400 tables of treasures; THE “CHICAGO-SHOW” offers a wide selection of vintage & collector guns, medieval to military swords, Bowie knives, Revolutionary War artifacts, Indian & fur trader collectibles, historical autograph and paintings, rare books, military medals, old bottles, tin types, civil war era jewelry, and much, much more. Associations will be represented such as, Bowie Knife Collectors Association, Salt Creek Civil War Round Table, Garibaldi Guard, P.H. Sherman Camp 2, Camp Douglas, Illinois Rifle Association, Pine Valley Club, Submarine Veterans Memorial, Antique Bottle Collector Association and the NRA-ISRA. Robert Zurko promoter of this special National Event stated: THE “CHICAGO-SHOW” is ideally located in the Midwest; as dealers & collectors can easily drive or fly to the show. As the show continues to grow; an additional building will be available for expansion so dealers do not have to be put on a waiting-list, again!! The next massive sale is SATURDAY April 28, 2018. Show hours are 9am to 4pm for only $9.00 for BOTH shows. Early buyers can get in at 8am for $25.00. Collectors are urged to come early, and plan to spend the day as buying is brisk and it takes hours to view the vast selection of treasures!